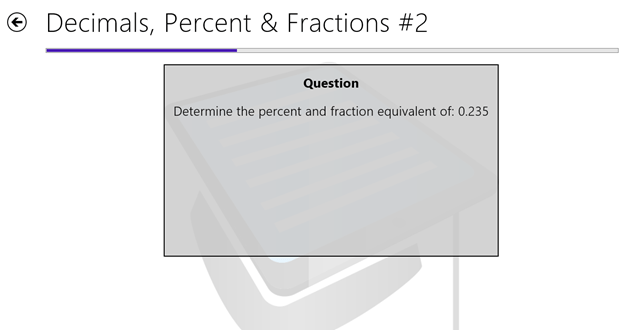 SATMax is a free Windows 8 SAT Exam app that lets you prepare for SAT entrance exam as it comes up with SAT video lessons, various English assignments, and objective types questions. In the era of electronic media, this is quite a useful Windows 8 app for the preparation of SAT exam in an interactive and a more fun way. It consists of video tutorials and practice sessions which gives you a live environment and also for other sorts of practice tests. SATMax consists of a number of modules that help you to understand the concepts of various subjects like comprehensive Math and Verbal English. These modules are further divided into sub-categories that takes you in-depth that particular subject. The good part is that this Windows 8 SAT exam app automatically organizes your training schedule based on the date you have selected. You can take comprehensive tests boost up your confidence and charge up for the exam. Objective type questions will help you to gain momentum and manage your time for attempting numerous questions in the specified time. 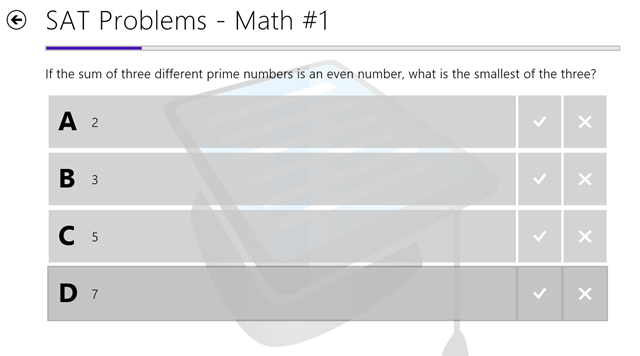 There are also Flashcards for problem solving mathematics questions for practice comprehension tests with solutions. Based on various comprehensive English speech parts, the tests are fairly divided into different categories like Subject-Verb Agreement, Prepositional Phrases etc. There are also quantitative mathematics sectors for comprehensive practice like Divisibility Rule, Fractions, Percentage and Number properties etc. 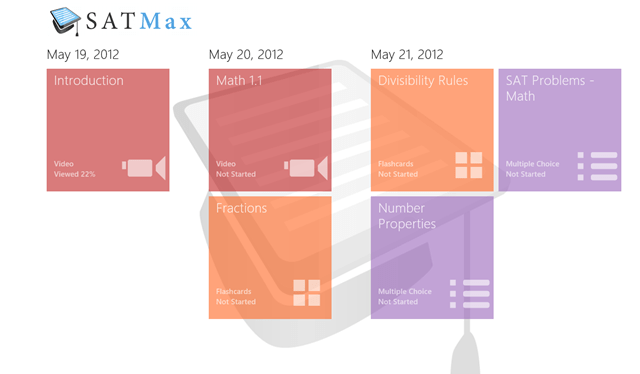 SATMax also provides video tutorials for better understanding. Well you can now start practicing by your own for SAT exam and for other sort of exams with the help of SATMax on your own desktop with Windows 8 doodling in it. At least now you can tell your folks now that your are not just playing on your system, but learning stuff also. Go ahead and download SATMax Windows 8 SAT exam app available under the “Education” category of Windows 8 store.